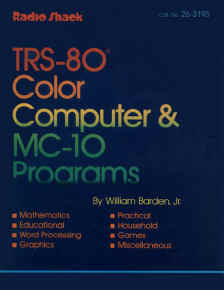 "TRS-80 Color Computer & MC-10 Programs"
Any contributions to this collection gratefully received! Note: As this was all scanned in, there are errors (the font Radio Shack used was a very poor choice). Please advise me of any fixes or corrections. These books often turn up on eBay or Amazon, etc. Look there for a copy. “When the Saints Go Marching In"